It's a simple but engaging premise that has proven very popular. Beat Games have promised continuous content updates after release, with a further 10 songs being released as DLC shortly after the game's launch. We don't have them yet, but we'll publish a story as soon as we pick up the Beat Saber Trophies. It's been a smash hit on Oculus Rift and Vive, and it's finally out for PSVR this month. There's no word on a price just yet, but this should round out what has turned out to be an excellent year for PSVR. 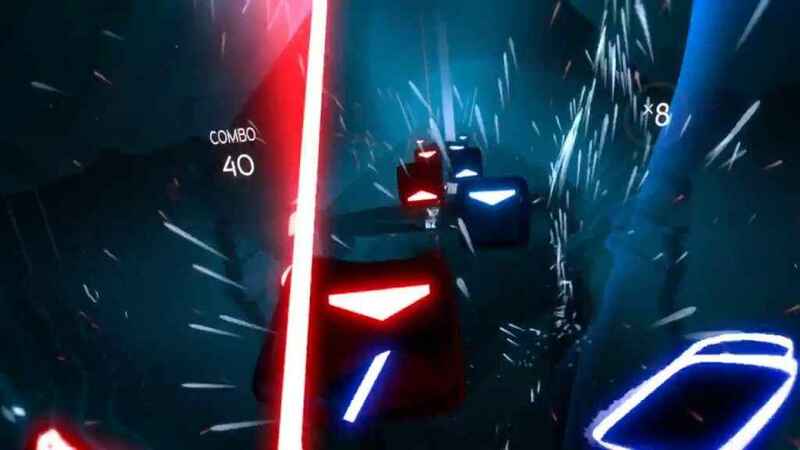 The PlayStation VR port of Beat Saber took longer than originally expected, but it's launching with a few new features like a campaign mode and five exclusive songs. New modifiers will also be available to create more challenges and fun for players. Epic sabers: Get ready for those shiny beasts because they look just wonderful. A No Arrow Mode will allow players to slice and dice the blocks in a direction of their choosing, which may make the game easier for new players. A practice mode is being introduced, which will allow players to slow the game down, and start at any part of a level to help practice tricky parts. The additional songs is a particularly interesting point. The songs that Beat Saber ships with are good, but there's not that many of them. It's also going to be interesting to see how well the PlayStation Camera holds up with all the movement, especially when Beat Saber requires some deft precision with its strikes.